Blake might not have made the state tournament, losing its section title game to eventual Class 2A champion Edina, but the Bears, who finished the season with a 25-3 record, feature the most players on the 2019 all-state team, an annual list honoring the best players in Minnesota. The Bears, who lead the Class 2A all-state team with four players, boast three forwards and a defender on the list, including 2019 Ms. Hockey, Madeline Wethington. Wethington scored 21 goals in her senior campaign and, as a blue-liner, was part of a Blake defense that held opponents to 51 goals in the regular season, a 2.04 goals-against per game average. 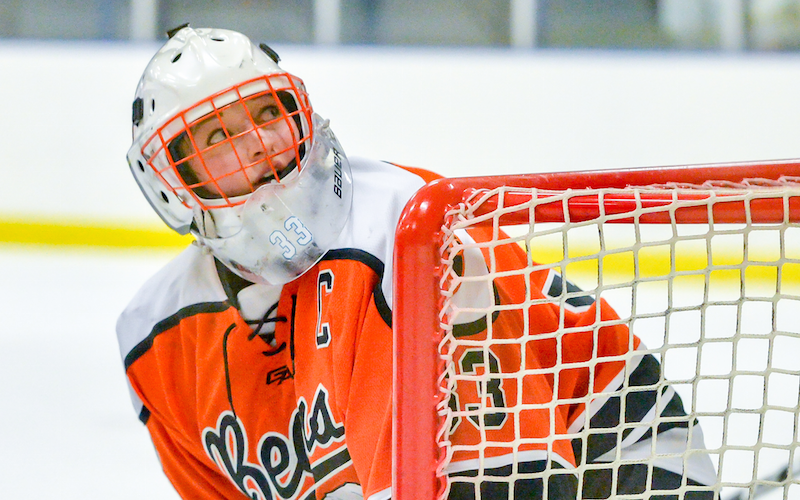 Calla Frank, who was given the 2019 Senior Goalie of the Year Award, is the lone White Bear Lake player on the all-state team, but the east-metro Bears feature two skaters on the honorable mention list. Maple Grove's Lucy Morgan joined Frank as the other goalie represented on Class 2A's all-state team. Frank finished with 13 wins, a .944 save percentage and a 2.01 goals-against average. After making 50 saves in a 2-0 shutout against rival Hill-Murray on Feb. 15 in the Class 2A, Section 4 final, Frank got beat by eventual Class 2A state runner-up, Brainerd/Little Falls in the first round of the state tournament. Four Warroad players, including goalie Quinn Kuntz, who finished the regular season atop every major goaltending category, make up the largest chunk of Class 1A all-state hockey players. Kuntz led all Minnesota goalies with 24 wins, a 0.60 goals-against average and a .964 save percentage. Breck, which beat Warroad 6-1 in the Class 1A state title game last week, boasts two players on the all-state team and two on the honorable mention list. Carly Beniek, a Holy Cross commit who had two goals in the Class 1A championship, and Ally Qualley, who notched two assists in that win over the Warriors, made the honorable mention list after a 44-point and 46-point season, respectively. Click through the tables below to see who else received the honors.